Over half of streaming platform viewers discuss brands they notice in ads. 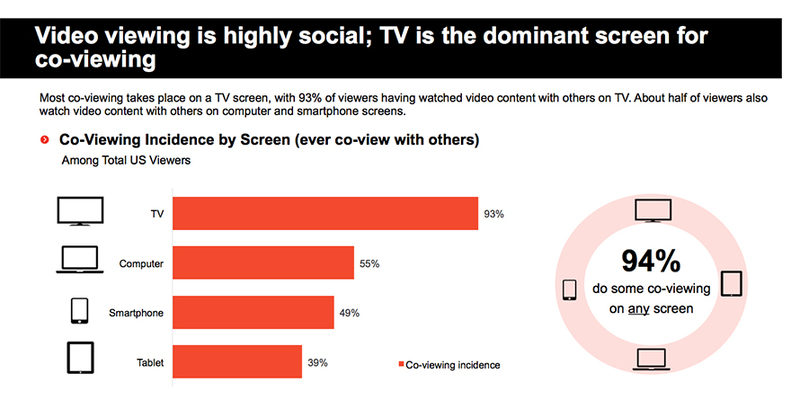 Even with more shows to watch and more devices on which to watch them, the dynamic of TV viewing hasn’t changed much. According to a new study by the Interactive Advertising Bureau, TV is still a shared viewing experience across all platforms. More than 90 percent of Americans ages 13-64 watch TV with other people; linear TV and over-the-top (OTT) services lead the pack with the highest co-viewing audience reach. The study, which was released in New York during today’s IAB Video Symposium conference sponsored by Hulu and Roku, analyzed 1,223 American video viewers between the ages of 13-64. 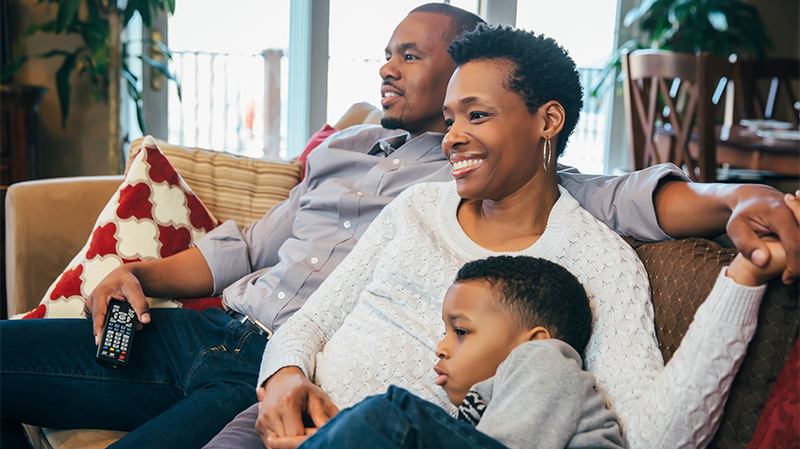 When people choose to watch TV together, the most popular reasons across both linear and OTT environments are to spend time together and to unwind. On streaming platforms like Netflix, Hulu and Amazon Prime, about 59 percent of shared viewing takes place with spouses or partners, while 41 percent takes place with kids. Streaming platforms also see 56 percent of viewers discussing brands they notice during ad-supported entertainment; 32 percent of streaming viewers actually purchase a brand they see during co-viewing, while 23 percent of linear co-viewers do the same. 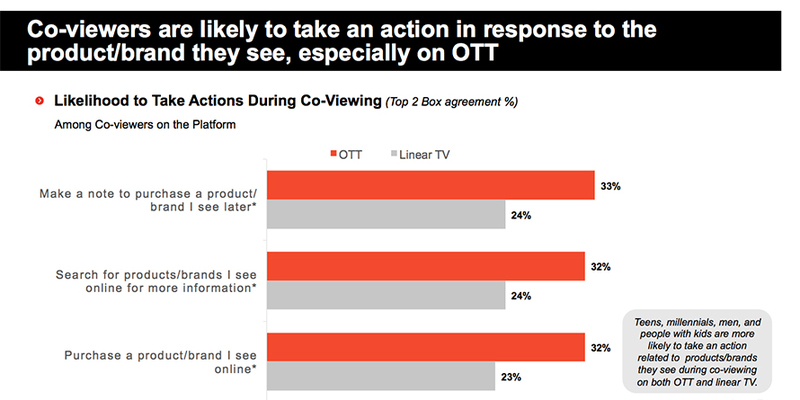 The IAB notes that teens, millennials, and men are the groups most likely to take an action related to products and brands they see during co-viewing on both OTT and linear TV. To learn more about the study and other co-viewing habits, click here.